My mom was not much of an athlete but made sure my sister and I learned to swim, ski, play tennis, golf and a myriad of other activities including playing the piano. I loved playing for her. She had perfect pitch and a wonderful voice. My mom actually skied 3 feet in her life. She strapped them on and slid three feet, fell and hit her head and said to her friend to ” take the damn things off.” But she made damn sure we learned to ski and I am forever grateful. She was a wonderful entertainer, and friend to many people who needed a friend. She was tough, but kind and generous. Her famous line was ” to have a friend is to be a friend.” She took that literally and befriended many and took care of those who needed a lift with a kind word, a nice dinner at my folk’s house, or a night on the town. Fast forward – my mom continued with her life learning experiences for me. While swimming at the Allegheny YMCA, I witnessed a knife fight in the lobby and the police running up the stairs chasing the assailant. Wide eyed, I came home and told my mom who was raised on the Northside of Pittsburgh. Her comment was, ” Not everyone lives in the North Hills, Patrick. You need to see the other side of the tracks.” Similarly, when she dutifully made me lunches and dinners to take to my college summer jobs at St. Joe Paper Company in McKees Rocks, working all three labor shifts, I told her daily tales of the crazies who worked in the box factory. She said I would learn more there than any college class.I would learn about real life. A great experience, she said, for me and my future, whatever it would be. Things changed over the years and after my dad passed, my mom was lost. They had a great marriage and now she was alone. 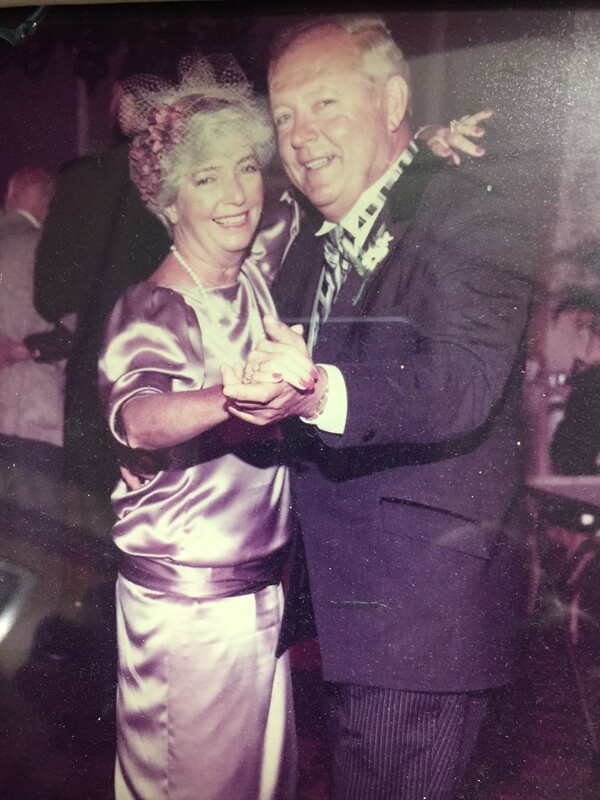 They had their ups and downs financially but my mother was steady in her relationship with my father until the day he died. She continued her great friendships. She was kind, considerate, and gracious in the good times and in the not so good times. She showed me great grace under pressure. The day I called her on the phone, and there was no answer, I knew this might be the day. When I found that she had passed away in her apartment, the tears poured from my eyes like a wellspring of emotion letting loose with cherished memories, and love for my mom. A peace came over me when I realized that she was finally with my dad again, in heaven, after 4 long years without him. My mom was a character and I miss her every day. If you still have your mom, cherish her, honor her, love her like she loved you all of her life. If your mom is gone, remember the good times and the funny times, and the times that she encouraged you to do the impossible. Happy Mother’s Day to all of you out there who are fortunate enough to be moms. You are a wonderful example to all of us. Thanks for reading. 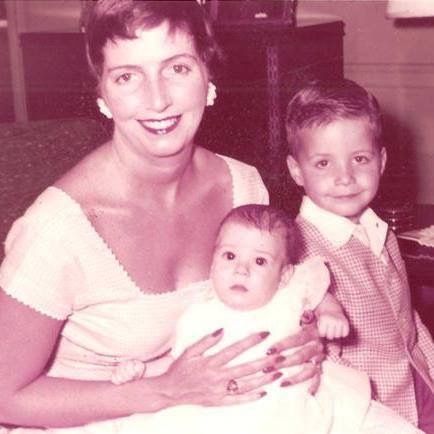 This entry was posted in Aging, American Culture, Culture, Friendship, Inspiration, Mother's Day, Motherhood, Mothers. Beautiful tribute to your Mom Pat- she was special and my mom loved her like a sister. I pray that they are celebrating Mothers Day together and they know how much we love and miss them. Cheers to Carol and Mary! Thanks Lisa. Your mom was a true friend to my mom. In good days and bad days. She was a rock for my mom and I always appreciated her help and friendship. Mary was one special and kind lady!! Regards and thanks for reading. Loved this tribute to your mom. She was wonderful and raised one fine hell of a son. You made her proud. Happy Mother’s Day to all. Carol was the best Mom and friend to so many! Loved her and have so many wonderful memories of being with your family! so this is a good reminder to honer her while she is here. Thanks! This is awesome Pat, your were very fortunate to have such a great Mom, I know I had one too. Thanks. Such a nice tribute to your mom. Made me tear up. I love swim story. Your right try to honor and enjoy our moms while we have them. Mine is 81 and struggling with some health issues. Thanks for this post. Well relayed. I know your sister Molly and I see so much of what you described in your mom in her. Love begets love and your mom sure did.